This book is arranged in four parts. In Part I: From Monism to Pluralism, Chapter 1 examines the origins and current state of Chinese civilization, with a perspective of concern towards the theme of ‘new monism’ as a recent theoretical explanation for the formation of Chinese civilization, which was initially dominated by Orientalism and later returned to Sino-centrism. Accordingly, the chapter advocates a pluralistic view towards the essence of Hongshan culture, which was a Neolithic culture in northeastern China, and further speculates at the possibility that ancient cultures in Korea such as Gojoseon may have contributed to the development of the Hongshan culture. Chapter 2 examines the meaning of the imperialistic narratives depicted in Rhapsody of Sir Vacuous (Zixu fu 子虛賦) and Rhapsody on the Imperial Park (Shanglin fu 上林賦), that praise the hunting activities of Emperor Wu of Han dynasty of China as a case study on civilization theory. Although the Han dynasty had ostensibly assumed the form of an ‘imagined community’ after the grand unification of China, the hidden side on the continent saw the coexistence of multi-faceted and peripheral cultural elements. Part II: Shamanism, Dongyi Myths and Daoism explores the way in which Daoism developed within Chinese civilization, which is considered to be based on pluralistic origins. Chapter 3 proves that primitive religions through shamanistic ideas and illusions such as the resolution of grievances and sorcery of flight, which constituted the shamanism of eastern barbarian (Dongyi) tribes, had exercised profound influence on the principles and practices of Daoism in terms of its concepts and methodology. Chapter 4 studies the transformation of Dongyi mythology into Daoism through the evolution of the myth of unity between bird and man, and the compensation mechanism derived from conflicts and suppression between the cultures of Yin and Zhou dynasties. Also, it conducts an empirical analysis on such circumstances through Daoist literature. Furthermore, Chapter 5 conducts a case study to provide an analysis of Record of Mr. Zhou’s Communication with Mysterious (Zhoushi mingtongji 周氏冥通記), a book of Shangqing Taoism (School of the Highest Clarity), which was founded under significant shamanist influence and therefore espouses a worldview in which Confucianism, Buddhism, and Daoism achieve harmony through Shamanism. In Part III: Comparative Review on Korean Daoist Tales, Chapter 6 uses the comparison with the Chinese myth of immortal enlightened hermits to analyze the Daoist imagination in Korea conveyed in myths regarding transcendental existence such as practitioners of Inner Alchemy (內丹), diviners, and holy persons as mentioned in Record of Eastern Sea Immortals (Haedong ijeok), which was Korea’s representative biographical treatise on such mythical figures. The resulting identification of strong shamanist inclinations such as the strong amalgamation of the three religions and the adoption of indigenous deities in Korean Daoism indicates the robust preservation of aspects of primitive Daoism as originating from Dongyi mythology. In Chapter 7, the comparative study of Daoist myths is expanded to encompass Japan as well. It reviews materials on the mythologies of the Yellow Emperor, Holy Mother of Mt. 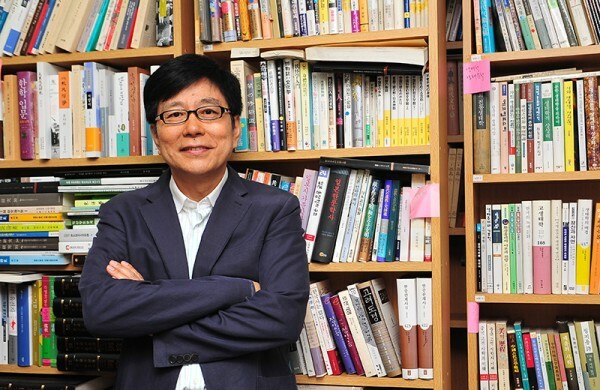 Seondosan, and Shinto from China, Korea, and Japan, respectively, in order to identify distinctive features of political appropriation and national identity expressed in each country’s tales. The three nations share similarities in exploiting Daoist myths as political tools to justify and mystify royal authority, but the striking aspect of the case in Japan is that the country successfully made the great logical leap from Daoist myths to imperialism in the modern age. Part IV: Comparative Review on Korean Tales from Unofficial History studies the unofficial history and cultural theories that describe the ancient history of Korea from an independent and nationalist standpoint in comparison with Chinese myths and Daoist imagination. This is because these materials mostly hold conflicting claims against Chinese records of ancient history. Chapter 8 reviews Records of Historical Accidents about Ancient Korean Nations (Hwandan gogi), a compilation of several unofficial history books, and presents two different positions over its authenticity, one being that the book was preserved through the secret transmission of forbidden books and the other being that it was a product of historical fabrication created in the modern era. 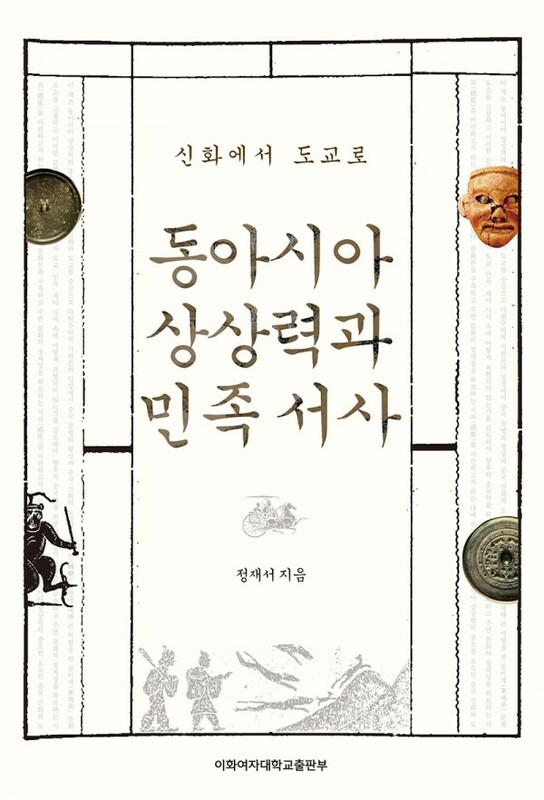 However, this record of prehistoric Korea is noteworthy since it sought the transformation of historical narratives by appropriating Chinese mythology and the Daoist imagination, which can be interpreted in myriad ways through the perspective of “rewriting” the history of the Korean people. The reflection of Dongyi myths in the description of history gives particular emphasis to the legendary figure of Chiyou who fought against the Yellow Emperor, while desacralizing the Chinese sage kings Yao, Shun, and Yu from the standpoint of countries peripheral to China. The book also argues that the Daoist myth of immortals in the three sacred mountains actually originated from ancient Korea, and identifies the emphasis on the well-being of the community as the point of difference in relation to Chinese Daoism. Chapter 9 deals with both Chinese myths and Daoistic imagination embodied in Epic of the Emblem City (Budoji) and Historical Account of Gyuwon (Gyuwon sahwa). The Budoji dismantles the myths surrounding Yao, Shun, and Yu, and it is especially intriguing that the book gives an entirely different perspective from China on the relationship between Shun and his father Gusou. Negative perception towards the sage kings is shared by almost all unofficial histories and ethnic religions such as the Teachings of Jeungsan (Jeungsan-gyo), which is noteworthy as a critical stance of peripheral cultures over the idealized dynastic myths that form the basis of Sino-centrism. Gyuwon Sahwa embraced a number of myths, particularly from Classic of Mountains and Seas (Nanshan jing 山海經) among the Chinese classics, which enriched the content of ancient Korean history. For instance, the book endeavored to deviate from China in relation to texts on Gojoseon, by adding unique annotations or reinterpreting records on the Dongyi culture through the means of metonymy and linguistic transposition. Through these efforts, the book attempted to subjectively rewrite national history based on the concept of counter-discourse as opposed to the established conventions of ancient history. Finally, Chapter 10 delves into Yukdang Choi Nam-seon’s Bulham culture theory, a renowned cultural discourse formulated to encompass Korea’s founding myth of King Dangun, with a focus on the acceptance of Chinese myths and Choi’s view of Chinese culture. The Bulham culture theory is considered a pioneering notion of his time although the theory is limited as a counter-discourse against Japanese imperialism, as shown in its pluralistic perception of Chinese culture and the idea of Asian community based on the theory. The above findings would suggest that Daoism originated from the pluralistic climates underlying the creation of Chinese civilization, based on shamanism and Dongyi myths, which resulted in the close correlation between ancient culture in Korea and Chinese civilization in terms of origins. Thereafter, East Asian imagination centering on Chinese myths and Daoism exerted significant influence on the traditional culture of China and Korea. Notably, Korea’s Daoist tales were influenced by Chinese Daoism, but also preserved the indigenous elements of ancient history, which were also politically exploited to justify royal authority. The discourse of desacralizing Chinese myths in unofficial works of Korean history is the product of “rewriting” history, part of an effort to promote the national identity of Korea. However, behind the discourse lies inherited racial memory that encompasses the pluralistic cultural circumstances of the ancient continent of Asia and the correlation between Dongyi mythology and Daoism in their origins. The memory is useful in interpreting conventional Chinese civilization from a variety of perspectives. In early modern times, China argued for pluralism in opposition to the theory of the western origination of civilization and stressed the uniqueness of Chinese civilization. However, as far as civilization and history within the continent are concerned, China inclines toward centripetal and introverted thinking. If China assumes an open-minded and pluralistic attitude that tolerates the perspectives of peripheral cultures, rather than merely considering Chinese myths and Daoism, the source of East Asian imagination, as the product of homegrown tradition, interpretations of Chinese culture will become much more enriched and diverse and it will create the foundation to facilitate reciprocal awareness between the cultures of countries in East Asia. In this sense, key points of the book expresses concerns over ‘new monism’ in relation to the origin of Chinese civilization, identifies the development of Daoism as the result of exchanges with neighboring cultures, and provides a fragmentary perspective on the coherence of China’s ancient history, which is nonetheless not intended to dismantle Chinese culture, but to aim at achieving a desirable cultural ecology by ultimately expanding the possibility of diverse interpretations, establishing the identity of peripheral cultures, and pursuing the decentralization of Oriental studies.